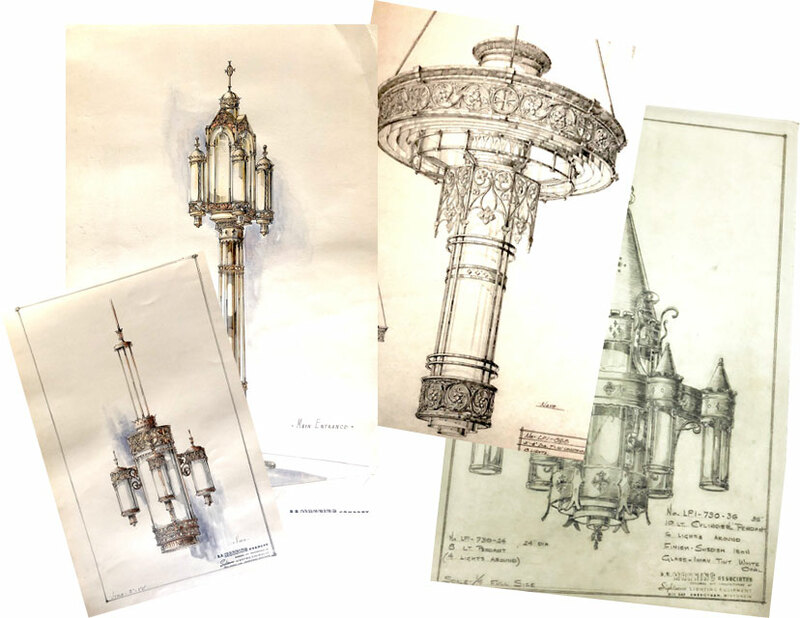 Manning Lighting was founded in 1948 as a custom designer and manufacturer of traditional and contemporary decorative lighting for religious and architectural buildings. First image: Founder R.A. Manning. 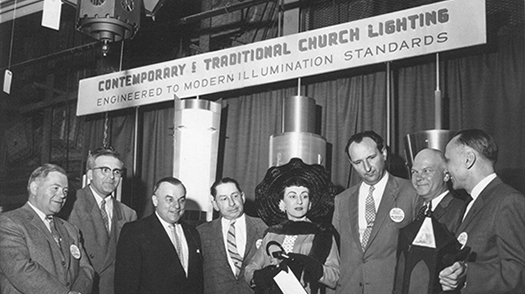 Second image: R.A. Manning (far right) delights an audience by demonstrating modern illumination standards (1956). 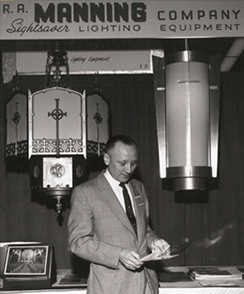 Today Manning Lighting remains family-owned and offers a complete line of products for commercial and institutional architectural spaces in addition to an extensive line of traditional and contemporary church lighting for all denominations and budgets. 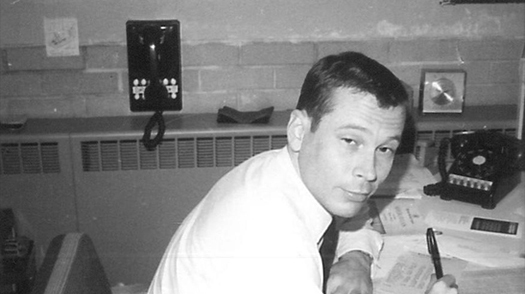 Above: Tom Manning circa 1966. Tom served as company president until his retirement in the mid 1990’s. 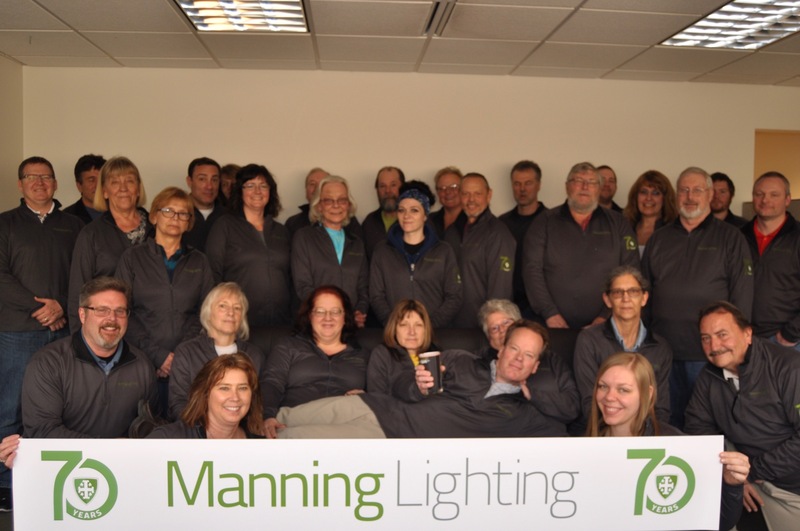 Andy Manning (center with beverage) and the Manning Lighting team are proud to carry on the company's 70+ year commitment to artistry, quality, and value. Our skilled employees manufacture, polish, paint and assemble the majority of our lighting components in our own facility, giving us complete control over the processes and the ability to exactly meet your custom specifications. Few architectural spaces are as difficult to light well as large churches. Over the years we’ve developed state-of-the-art lighting solutions for incandescent, fluorescent, HID, and LED that not only perform well, they also look great. We can help you plan the ideal custom lighting layout and recommend the proper fixtures and lamp sources to meet your needs. We use decorative aluminum castings instead of stampings, solid brass material instead of plated steel, and a selection of durable yet unique finishes to harmonize with any type of interior or exterior. These capabilities make Manning Lighting an ideal choice for custom projects, historically significant buildings, and any project where mass-produced “off the shelf” lighting isn’t appropriate. Above: The Manning archives contain thousands of hand-drawn (and painted) presentation and technical drawings.